It didn't take long for me to be fully obsessed with Glossier. It was basically love at first use, so it was only natural that I ended up ordering more products. I decided to add the Mega Greens Galaxy Pack and Boy Brow into my routine and just as I figured I totally love them both. I honestly don't think Glossier can do any wrong. Now, onto the review of each! Mega Greens Galaxy Pack : After I fell in love with the Moisturizing Moon Mask I knew I wanted to sang it's detoxing counter part. They work perfectly together detoxing and then adding in a whole lot of moisture to your skin. After using my face feels super cleansed, more even, and my skin nice and plump. What I love about this mask is that it doesn't harden down to an uncomfortably tight finish that strips the like most clay masks. You can tell it's drying down, but it's always comfortable. Boy Brow : I've been dying to get my hands on this for a while after seeing all of the rave reviews. I've always gone back and forth between using brow gels, so I was hoping this one would be the one to really convince me to love them. I am hooked. I love how it doesn't get crispy or stiff, it keeps brows soft and flexible but also in place. It thickens and tints just enough - but doesn't get product all over the place like other tinted gels I've tried. 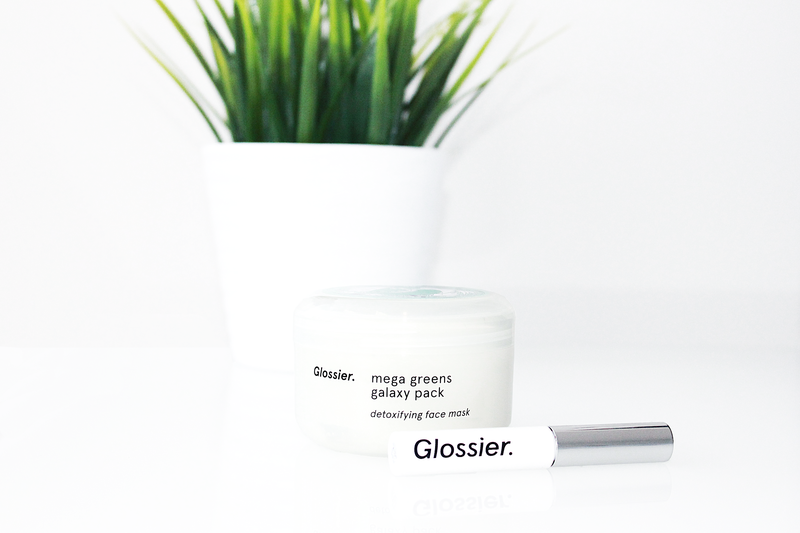 Glossier, you're a pretty magical brand.